Hi there ECE readers!! It's Kristyn from Lil' Luna here today! I'm so glad I can be here while Amanda is resting and enjoying her new baby!! New babies are so precious!! Today I'm sharing with you a quick and east treat!! Sometimes I want something salty... other times something sweet. And then there are those few times where I want BOTH!! This next treat does the trick because it's sweet, salty and made in minutes! Now, that's my kind of goody!! 1. 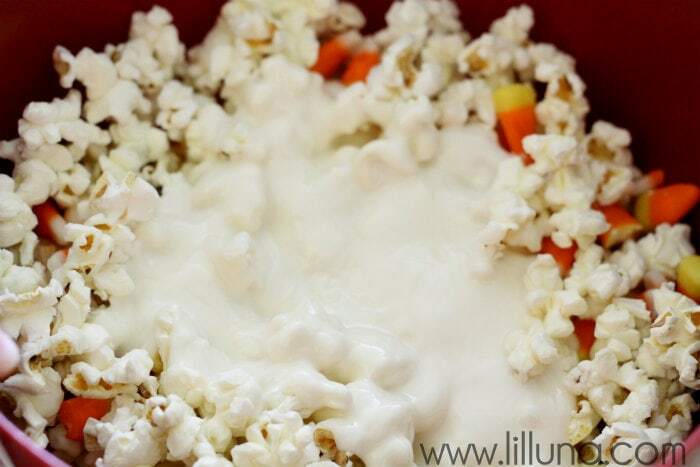 Make popcorn in microwave as instructed. Pour out into a bowl trying to make sure no un-popped kernels get in there. Set aside. 2. 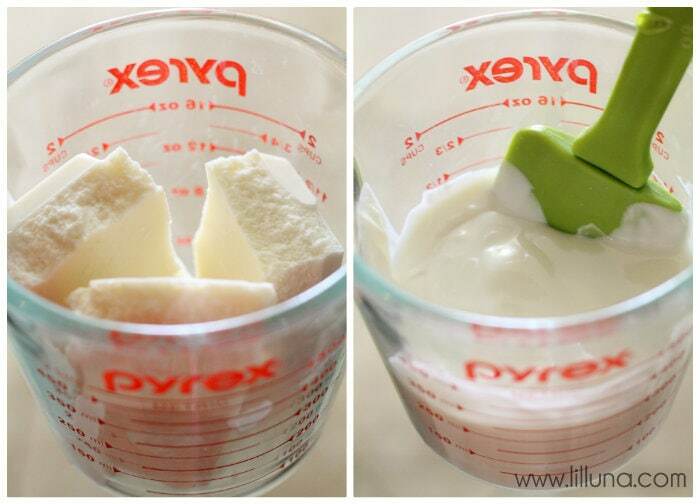 Put cubes of white chocolate in a microwave safe bowl and melt as directed. I put mine in for 45 seconds and then did 15 second intervals until it was melted. 3. 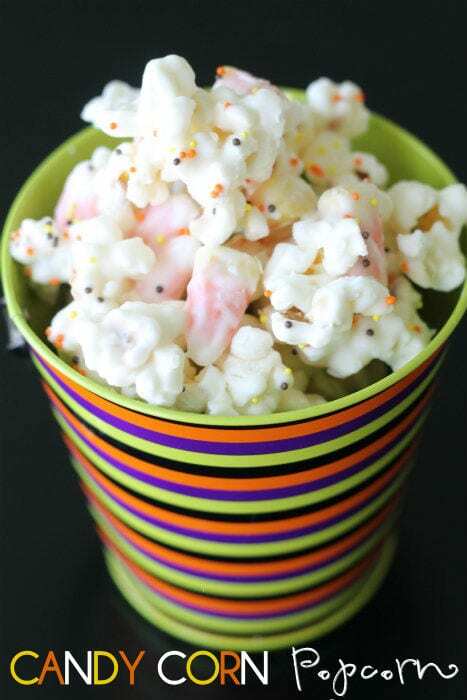 Pour white chocolate over popcorn. 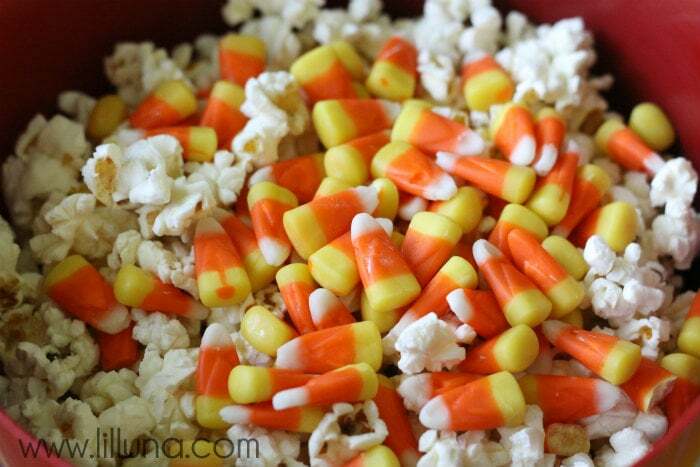 Add candy corn. Mix until all well coated. 4. 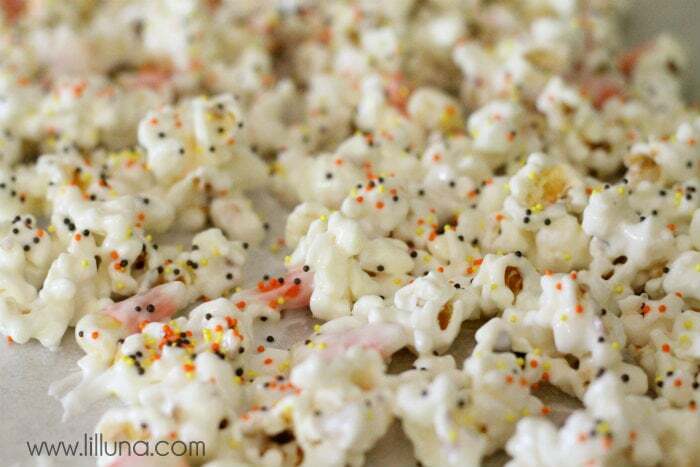 Pour onto wax paper and sprinkle with Halloween sprinkles. Let set. Thanks for having me today, Amanda, and I hope you are enjoying snuggling with your new bundle of joy!! Thank you so much for being here! 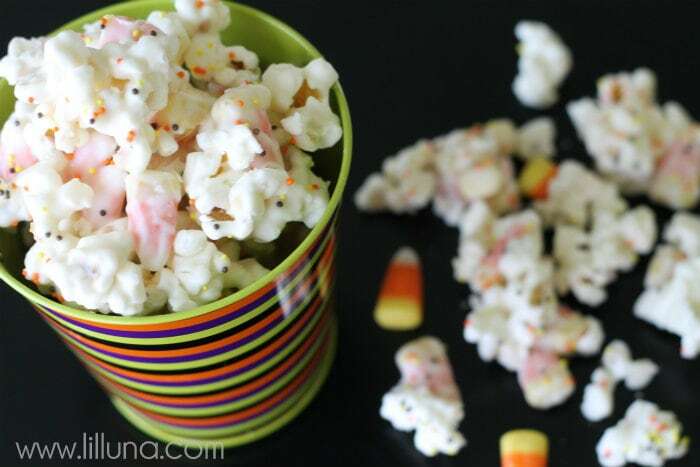 I love popcorn and candy corn so this is exciting for me! !